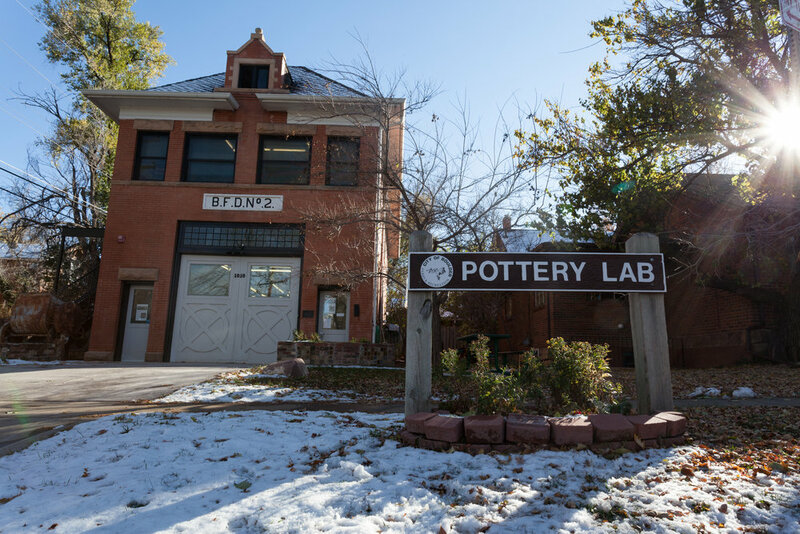 Studio Arts Boulder is building a second facility to expand the ceramics program and add new studio art forms. We love the Pottery Lab. The historic firestation is beautiful and charming. It is our heart and our home. There are few places in Boulder where people of all ages and walks of life come together to pursue shared interests. In fact, we have no intention of leaving the Pottery Lab and intend to continue to provide high-quality ceramics programs at the Lab! We're expanding because we need a second facility. Having two facilities will enable us to expand our ceramics program - add more students, with more space and storage, and a wider selection of classes. While our historic building in the middle of University Hill has lots of character and intimacy, it also poses a few challenges. Over the years, staff has taken many steps to ensure the 3,200 sq.ft. facility runs as efficiently as possible, but the space has inherent limitations. Every square inch of usable space at the Pottery Lab is maxed out. With waitlists growing, enrollment in our adult classes is at full capacity. We've added workshops, date & family nights, and other programs to engage more people, but we have no room to add more students, reach more community members, and capture the additional revenue generated by our adult program. We simply cannot meet the demand. The historic building is not universally accessible. We cannot accommodate people with low mobility or other disabilities because we do not have a fully ADA-accessible facility. Currently, we are able to provide reduced-rate classes to adults with mild traumatic brain injuries. We would like to do more therapeutic art programs, but we need a more accessible building to do so. In addition, Boulder county is aging. Serving this growing population of seniors is critical as the demographics shift. In order to truly serve all ages and abilities, we need a fully accessible facility. There's no room for other art forms. Our mission is to cultivate the artist in each of us by inviting creative collaboration in the study, practice, and advancement of the studio arts. The "studio arts" are those art forms that require a significant investment in equipment, facilities, and safety precautions that are often beyond the means of most individuals, such as ceramics, printmaking, woodwooking, glass, metal, and fiber arts. We've built collaborative relationships with leaders in other art forms who are eager to provide community education programs. A second facility will enable us to offer classes and other programs in addition to ceramics. 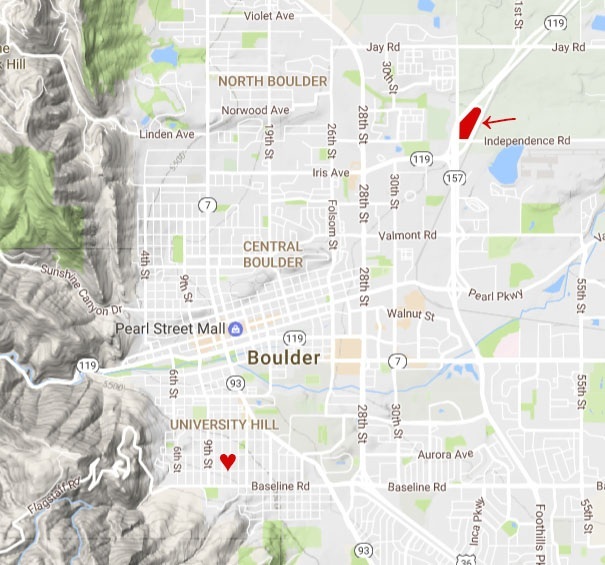 Studio Arts Boulder has secured a donation of land worth approximately $1.5 million within the new Diagonal Crossing development at the intersection of 47th Street and Independence Road (see map). Diagonal Crossing will include affordable and market-rate apartments, a small retail bodega, a restaurant, a new facility for Meals on Wheels, housing for Naropa faculty, as well as a custom-built facility for Studio Arts Boulder. Our 0.71-acre lot is in a highly-visible location on the east side of the development, along the bustling Iris-Diagonal corridor (see diagram below). Within the neighborhood we will enjoy a central green space as well as a series of outdoor sculpture pads, which Studio Arts Boulder will manage and curate. The Studio Arts facility at Diagonal Crossing will be significantly more accessible than our facility at the Pottery Lab. With ample parking, bike path connectivity, and bus stops just a block away, our students, faculty, staff, and visitors will be able to chose the method of transit that best suits their needs. While keeping the legacy Pottery Lab open, adding a second facility at Diagonal Crossing expands our geographic reach and allows us to serve more members of the community. A custom-made facility dedicated to community studio art education. We envision spacious teaching studios where students from the entire Boulder community can learn new skills and discover hidden talents. We envision an art gallery showcasing in-house artists alongside regional, national, and even international exhibits. We envision a gorgeous, artfully-designed building that also exemplifies the best in green building technology. Classes, camps, and workshops will serve every age and ability from novice to advanced, including children, adults, seniors, as well as students with special needs, engaging diverse populations and perspectives. Rotating gallery shows, exhibits, and special events will be open to the public, exposing new audiences to the studio arts and attracting new visitors to this showcase destination. Offices, conference rooms, and outdoor event/work spaces will foster collaboration and interaction between artists, students, staff, visitors, and the wider community. See the concept design for building HERE. The project is in the planning stages right now. Studio Arts Boulder has secured the land donation, worth approximately $1.5 million, and our project has been chosen to receive tax-matching funds worth another $1.75 million from the Community, Culture, and Safety Tax. With these two major pieces in place, there's still a significant amount of capital funding to raise. We've hired Barrett Studio Architects to develop an initial concept design for the building. David Barrett and his team are excited to take our wish lists and turn them into something beautiful, functional, and affordable. We're thrilled to be working with such a receptive, creative, and well-respected Boulder firm (see video). After the initial concept design, we will have a better estimate of the total funding needed to build the facility. At that point, we'll launch a capital campaign to raise the remaining funds from a variety of sources, including private donors, foundations, and others. The capital campaign is expected to launch in 2019. If the campaign progresses well, and the architectural planning and permitting process goes smoothly, we expect to break ground in 2020 and open for programming in 2021. Project updates online as well as offline at the Pottery Lab. Use the comment form below to send in your thoughts and reactions. Don't be shy! Your feedback is key to a successful expansion. Tell us what you want, what you love, what you hate, and anything else that pops into your head. We want it all! Thank you for submitting your comments about the Studio Arts Boulder expansion project. Your input is critical! Please sign up for the Expansion Newsletter to stay in touch and get all the latest news and updates delivered right to your inbox. Sign up for the Expansion Mailing List using the form below and we'll send updates directly to your inbox. Be the first to get news of major milestones and invitations to upcoming events. It's the perfect way to stay in touch and track the project’s progress. Congratulations! You are on our Expansion Mailing List and will receive all the latest news and updates directly to your inbox. If you ever have questions or comments, please send an email to hannah@studioartsboulder.org. Thanks for staying in touch! Studio Arts Boulder has taken the first steps toward a bigger, bolder future. Help make it a reality! Our mission is to cultivate the artist in each of us by inviting creative collaboration in the study, practice, and advancement of the studio arts. The "studio arts" are art forms that require substantial investments in space, equipment, and safety precautions that are beyond the means of most individuals.